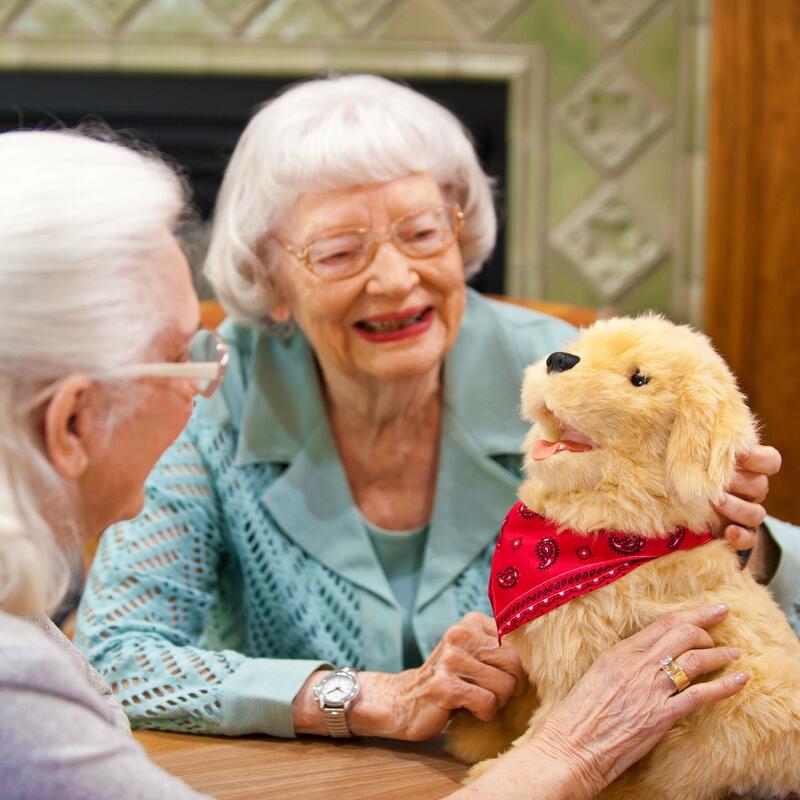 How Can Social Robots Help the Elderly Age in Place Better and Longer? What product features, providing these benefits, are being touted by available, and in development, products? What social robots are available for seniors? 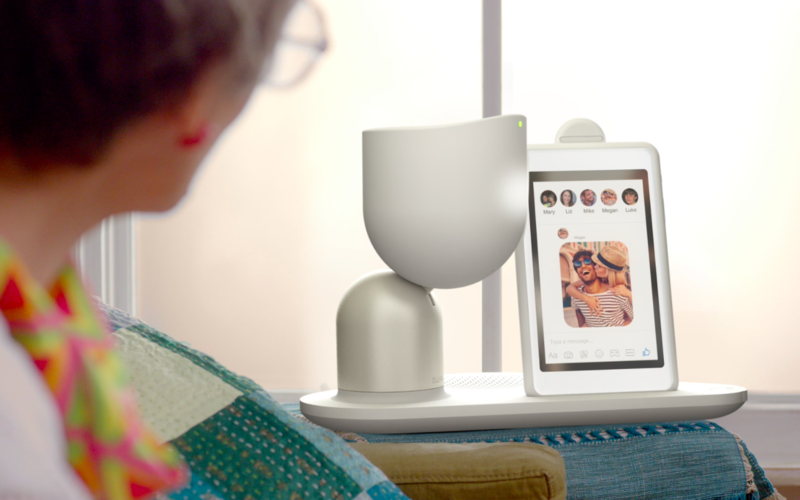 Currently, there are no social robots for elderly consumers available for sale in the U.S. Several companies state their intention to ship the product by the end of 2018. I hope so, but I wouldn’t count on it. 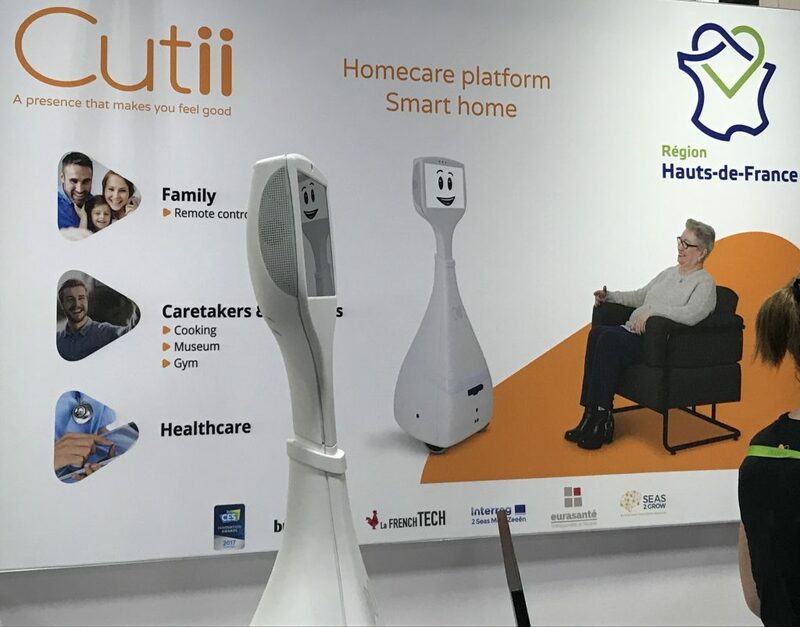 Below are brief overviews of three social robots (ElliQ, iPal, Buddy) that explicitly state the intention of providing benefits for the elderly. 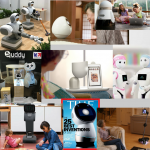 Also, one social robot (Jibo) available for purchase (but currently lacking specific functionality, and not being touted, for seniors), two social robots in telepresence form (temi & Cutii), one telepresence robot (Ohmni), and one hybrid product (GeriJoy). Intuition Robotics unveiled ElliQ in January 2017 as the first, and so far only, social robot being developed specifically for the needs of the elderly. 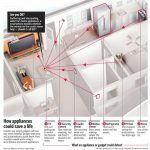 The company’s focus is on creating a product that many seniors find a valuable aide as they face the challenges of aging and a comfortable member of their home. Having decided to get involved with social robots in April 2016, I quickly contacted the company expressing my interest. That led to a relationship as an early tester and my participation in articles in the San Francisco Chronicle and the San Jose Mercury News. Three serial entrepreneurs founded this Israeli company. 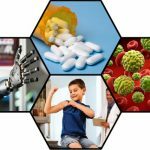 Notable companies such as iRobot, Toyota Research Institute, and Samsung’s investment fund, Next, have been financial backers. Additionally, ElliQ was awarded a prestigious Innovation award in the Smart Home category at CES (formerly the Consumer Electronics Show) in January 2018. 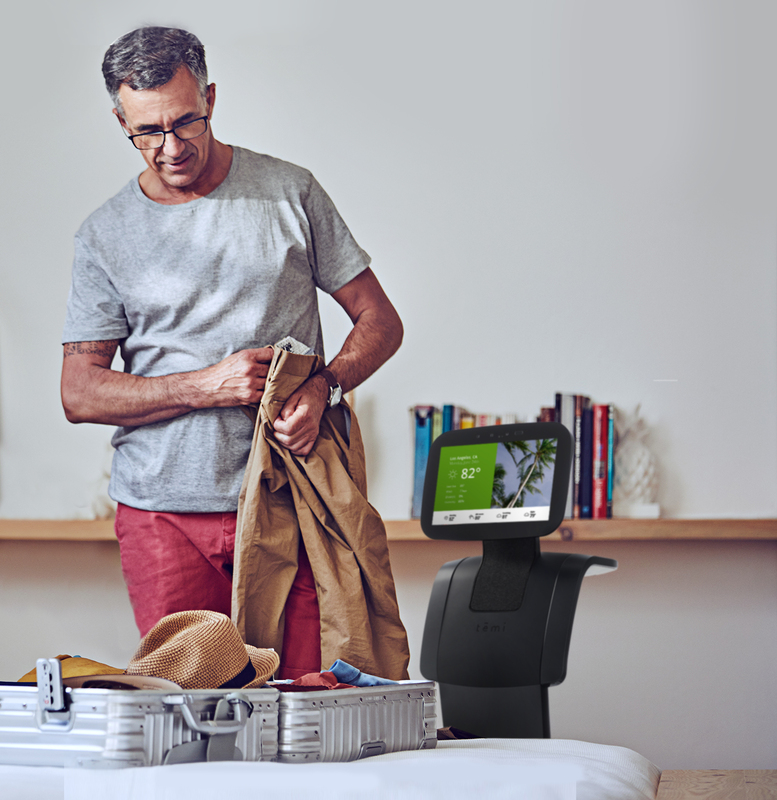 ElliQ is a stationary device with two parts, an expressive, through motion and lighting, non-humanoid robot, plus a removable tablet. No pricing has yet been announced. 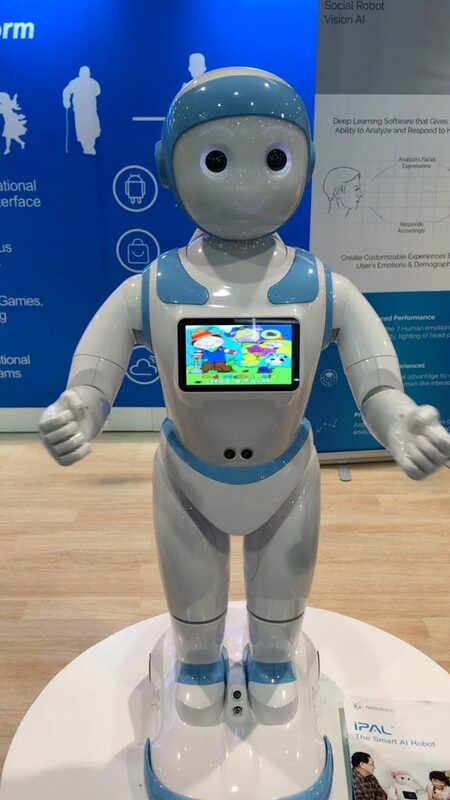 The iPal Robot, from the Chinese-American company AvatarMind, was introduced in China, with a focus on young children, in 2017. I met the CEO at the RoboBusiness expo in September 2016, discussing my interest in the eldercare intentions for this social robot. I subsequently arranged for the presentation of iPal to my community’s technology committee in May 2017. The company is successfully selling in China and released a developer edition for the U.S. in early 2018, with the initial consumer version later in the year. iPal entertained children at the San Jose Mineta Airport and was a hit at CES 2018 with a display of a number of them singing and dancing. Recently, the CEO provided me with one on loan. It is an early version and he will be providing me with a current version in the near future. I have a group of residents in my community to help with this project. I will be reporting on this activity. iPal is a tall mobile social robot with a humanoid form. The developer edition was launched at CES with a price of $1,699. The consumer edition is expected to be $2,499. Buddy, “The Companion Robot” is from the French company Blue Frog Robotics. 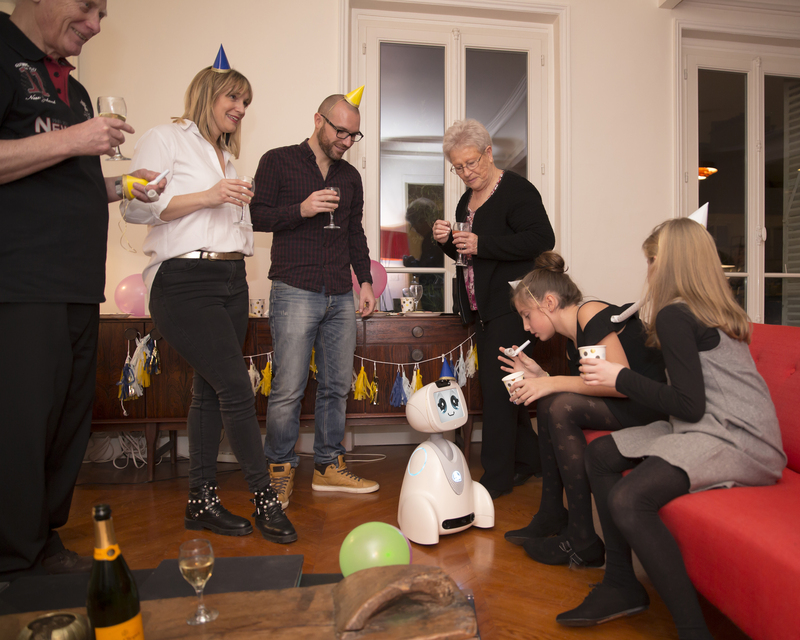 It is one of several social robot products introduced via crowdsourcing (notably Indiegogo and Kickstarter) – this one in 2015. As with many crowdsourced products, delivery to the initial “backers” was much later than initially promised, or, as in this case, has yet to occur. Crowdsourcing is not for the impatient! However, it also secured a new round of funding from a U.S. venture firm in late 2017. Buddy is intended to serve the whole family, but the company does emphasize the benefits it offers for the elderly and their families. 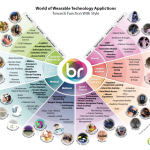 It is participating, along with several other European and Japanese firms, in a project to develop “solutions for extending active and healthy ageing in daily life”. The company has participated in the last three CES shows and has won awards. At the last one, I asked about U.S. availability but did not get a projected availability date. I expect at least a year after successfully delivering in France. Buddy is a short mobile social robot with a hybrid humanoid (“arms” are an option) form. The crowdsource price was $699 to $999, for the basic model and one with all options included. Jibo, the name of both the product and the company, was the genesis of TechForAging, as noted in the Social Robots article. Cynthia Breazeal’s description of its capabilities, its target being kids and elders, and the emphasis on soliciting developers, all led me to a life-changing decision. It had one of the most successful Indiegogo campaigns in 2014, raising almost $4 million. I would have backed it, but missed out. The original target shipping was in 2015, then pushed back to April/May 2016. General availability occurred in October/November 2017. I have since considered buying one, however, I’m waiting for the developer program which was halted and has yet to be reintroduced. Ms. Breazeal took leave from her positions as Associate Professor of Media Arts and Sciences and director of the Personal Robots Group at MIT to start Jibo. The company has raised over $72 million. At CES 2018, Jibo’s presence was in a corner of a sizeable space of a Chinese company named Ling. The companies are partners, with Ling providing manufacturing and localization for the local Chinese culture. Several reports from CES 2017 were on a large number of products, in particular from China, that resemble Jibo. 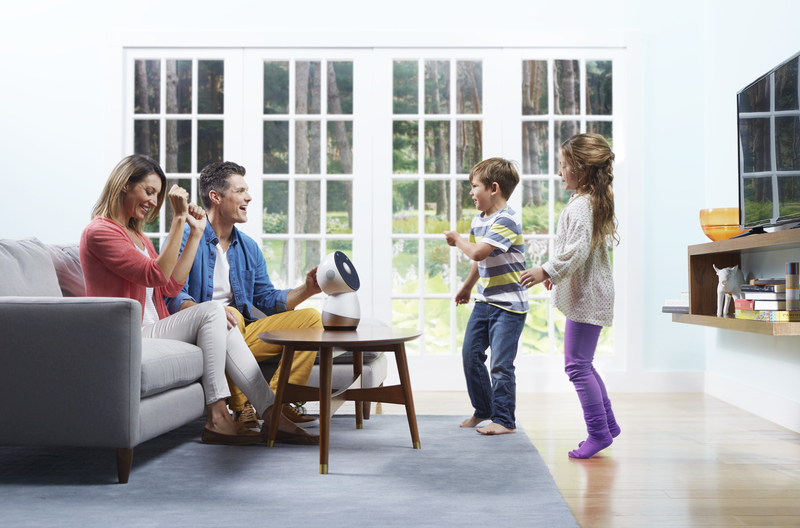 Initial reviews of Jibo tend to bemoan its current paucity of functionality but praise its social attraction, especially for young children. While not currently being touted for the elderly, there has been some reporting on testing and usage. Jibo is a stationary social robot in a non-humanoid form. The pricing touted in 2014 was $599, but it was $899 when released to the public. Recently, news reports indicate that the company is in danger of failing. Update: As of November 2018, Jibo is gone. temi is being developed by a subsidiary, formed in 2016, of a very successful Israeli manufacturer of “tactical ground-based robots” for worldwide military and related uses. The company, Roboteam, is based in Maryland. It was inspired by a grandmother, with shaky hands, of one of the company’s founders. It received a $60 million investment and announced a three-year distribution deal in China for 100,000 units. I signed up to be in the Early Adopters Program in September 2017, offering 1,000 people a week with temi to provide feedback. In November I received an update noting that over 20,000 applications were received. I haven’t been selected, but the program has been extended into 2018. In addition to ongoing testing, there is the intention to open some stores and online sales later in 2018.
temi has been referred to as “Alexa on wheels” providing much of the same functionality plus its ability to recognize and follow users around. Telepresence is its primary focus. Also, because of grandma’s shaky hands, it has a tray to carry things placed there. temi is a tall mobile robot with a non-humanoid form. It is not being developed as social, rather a better technology platform. It began sales October 1, 2018, and is priced at $1,499. Cutii is from French company CareClever SAS. It is included because of its emphasis as a platform for Aging in Place eldercare functionality and its Robots as a Service (or subscription/leasing) pricing. The company plans its launch in France in early 2018, then other parts of Europe in 2018. It has been at the last two CES shows in Las Vegas, so it is somewhat surprising, and perhaps refreshingly realistic, that expansion to U.S. and Asia is not planned until 2021. Cutii is a tall mobile robot with a non-humanoid form. The subscription price is currently list as 90 euros per month. 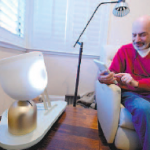 Ohmni, from Ohmnilabs, is a telepresence robot, mostly aimed at consumers, but also at home healthcare providers. The company had a successful crowdsourcing campaign in 2017 after raising some initial funding from investors. It is included because of extensive testing with aging in place seniors and their families and actively markets for these users. I earlier attended a “Tech Talk – Living with Smart Robots” presented by a nearby progressive senior community organization where Ohmni was featured. The company is located in Silicon Valley and uses “3D printing” (contact me if you don’t know what this is and want to know) for much of the manufacturing locally. When the Amazon Echo Show was announced, I ordered two. One was for my then 101-year-old mother-in-law living in an assisted living facility over a two-hour drive from us. The primary objective was to use its “drop-in” feature so my wife could communicate better with her mother. Ohmni provides a better Echo Show experience because of its mobility and other features. Two units are not a requirement, only an internet browser on any device. Requiring an App for most devices these days is usually a requirement, so this is somewhat unique. 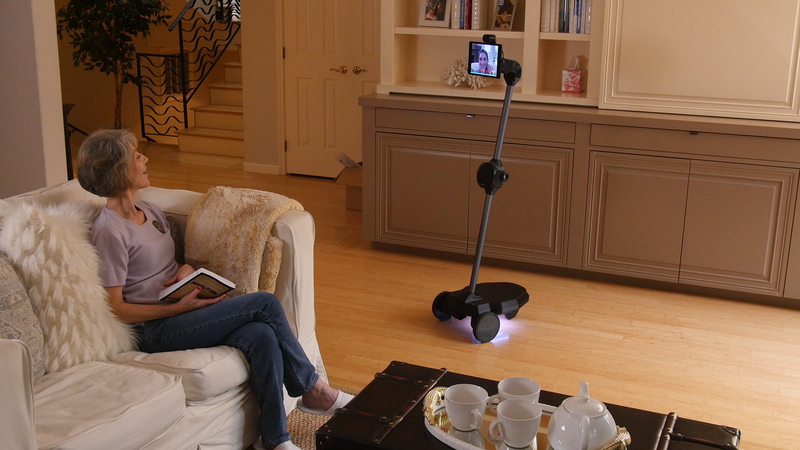 Ohmni is a tall mobile telepresence robot. The company has mentioned the future possibility of adding Alexa type functionality and arms (no detail on what for). It is priced at $1,495. GeriJoy is an offering of care.coach. It is not a robot. 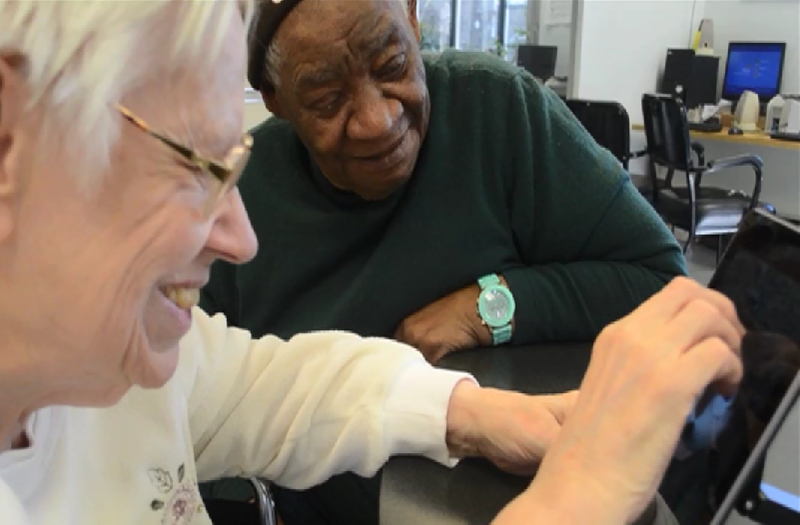 It is included because users interact via voice conversations and an iPad-like tablet, like the robots, and there is a caring social connection. 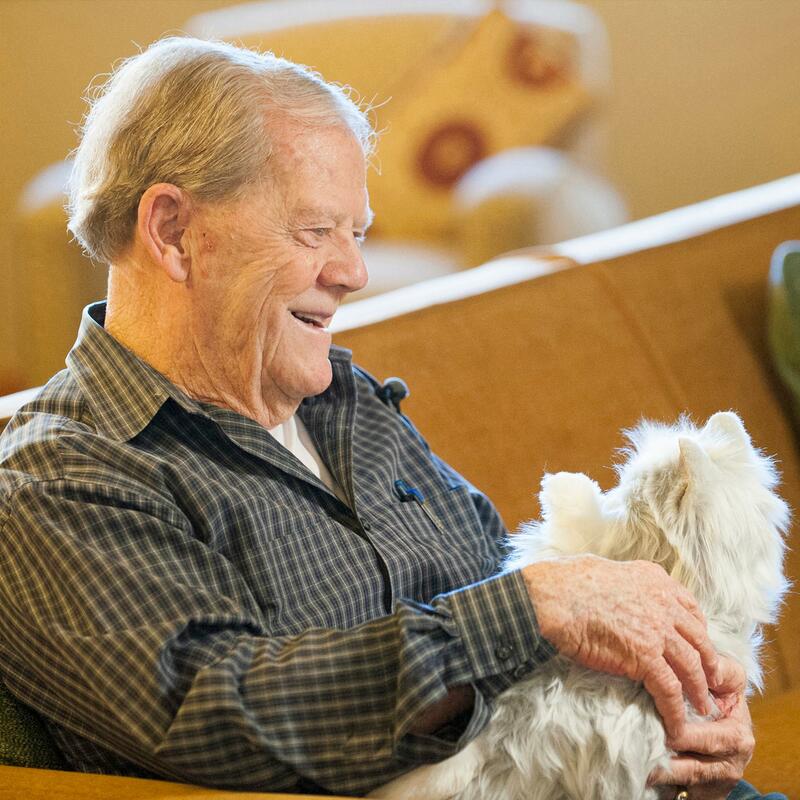 The tablet shows a pet (dog or cat) avatar through which specially trained remote caregivers will interact with the user providing 24 x 7 companionship, care, and connection. Pricing is $249 per month.